A verandah requires careful planning because it is here that you transition from the outside of your home to the inside. A roofed and open, or partly open, portion of a house, a verandah is more than just an entryway to your house. It is here you can play games, sit on a swing chair while sipping lemonade, chat to neighbours, and watch the world go by. 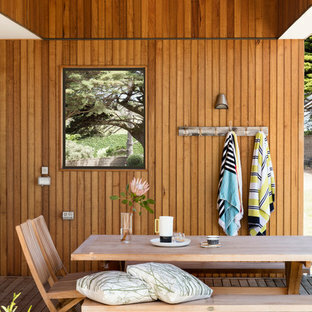 Browse the photos on Houzz to see how you can breathe life back into your verandah, or build one onto your home with form and function in mind. 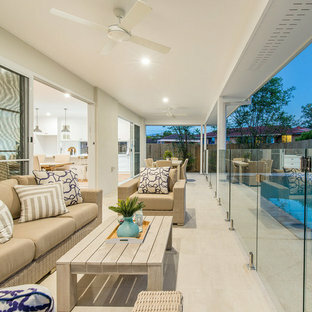 You’ll find inspiration for Queenslander verandahs, those with flat, curved, concave and gabled roofs, as well as ideas for flooring and balustrades, to suit all styles of homes, big and small. If you want to dig a little deeper, make sure you check out the Stories or Advice section on Houzz, too. 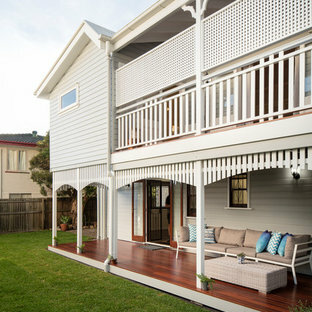 What style of verandah should I add to my home? This will be primarily dictated by your budget, space and overall style of your home. 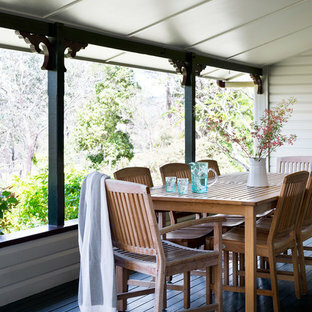 Typically, verandahs are integrated into a home’s roofline, so they will most likely always be a pricey renovation. 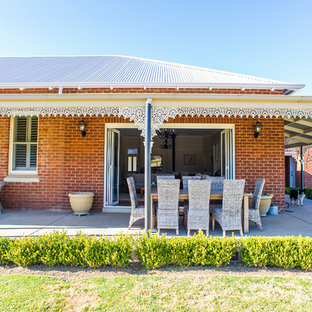 Flat or skillion-roofed verandahs are popular home additions because they can be shaped to fit most house plans, or extend out to other zones, like a pool, for example. A pitched/gabled or curved roof will give you more height and a more open feel, while a concave roof looks best on a verandah attached to a period home. 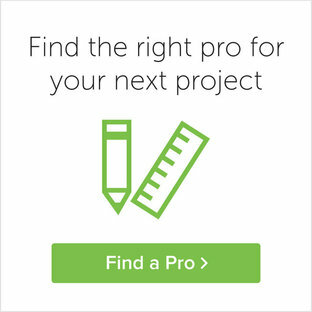 If you need advice, check out our directory of architects. 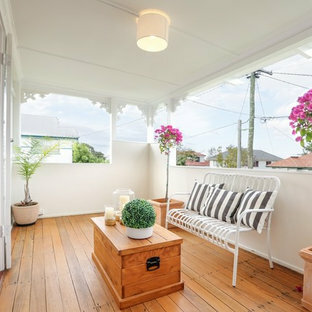 How can I decorate my verandah? 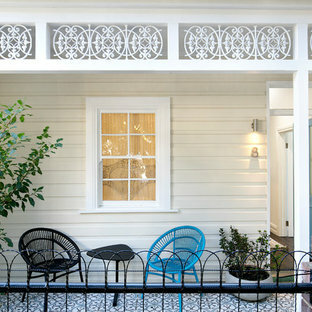 Your verandah decor should reflect your personality and lifestyle, but most importantly, how you will use the space. If you want it to encourage lounging and people watching, add a hammock, swing chair or daybed – the more seating you have, the more likely you are to use it with friends. Get more from your verandah by including a dining table and chairs, with some feature pendant lighting to draw attention to the zone. You could also go beyond seating, by adding the likes of a console or planters. If you’re spoilt with a view, you can also keep it utterly simple with just two comfy armchairs to sink back into. Add colour through wall hangings, potted plants, pillows and rugs, but remember to opt for fabrics that are waterproof and fade-resistant. If you're unsure, get help from a designer! This home was built as an investment project for some valued clients who wanted to create a traditional looking home with contemporary design touches that would suit a family today. Built in an inner Brisbane city suburb, this home needed to appeal to a discerning market who require quality finishes and a thoughtful floor plan. 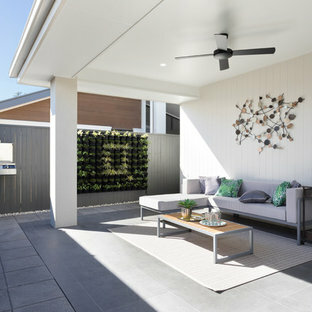 Alfresco as displayed at Somerfield Estate, Keysborough. Latte poles are a perfect shading device. Used over the paved walkway and the outdoor terrace, they provide dappled light and shade both inside and outside. The owners wanted this outdoor area to feel like an extension of their indoor living area. Time is spent relaxing in this space all year 'round.